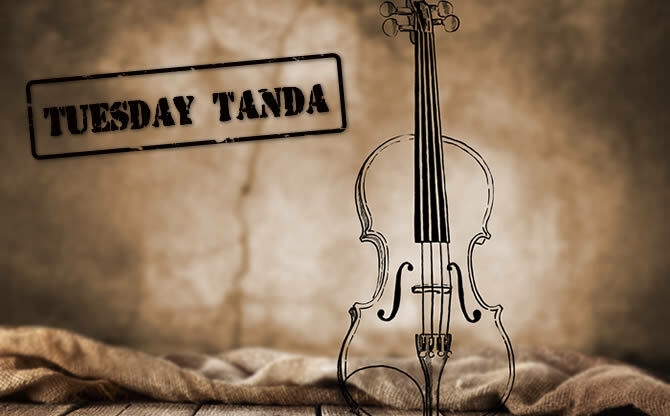 Every Tuesday, we’ll publish a different tanda on our blog, to get you inspired for the week. Expect some humming or little twitches from your foot – better not fight it. This week, selection of valses from the two “angels”, Ángel D’Agostino and Ángel Vargas. To enjoy this song, no less than two performances, one by the mythical couple Geraldine Rojas & Javier Rodriguez and the other by the smooth and impossibly perfect Juan Martín Carrara & Stefania Colina.